The Scorpion’s Tail: This stage will be played in Tier VI vehicles. The Lion’s Mane: This stage will be played in Tier VIII vehicles. The Snake’s Fang: This stage will be played in Tier X vehicles. 1.2. Any existing clan can participate in the Fourth Campaign as well as any clan registered after the Campaign has started. 1.3. Each stage of the Fourth Campaign has its story and requirements, which will be published before each stage starts. 1.4. The Fourth Campaign stages will take place in different regions of the Global Map. 1.5. The number of provinces available on the Global Map, as well as Front parameters will be set for each particular stage. 1.6. Prior to the start of the Fourth Campaign, the Global Map will be wiped. 1.7. Season Fronts for vehicle Tiers VI, VIII, and X will be unavailable during the Fourth Campaign. 1.8. Participation in all the stages of the Fourth Campaign is not obligatory - a clan can join or leave the Campaign at any time. 2.1. During the Fourth Campaign, clans and individual players will be competing for Fame Points, which can be used to claim main prizes and exclusive Campaign medals. 2.2. Personal Fame Points and clan Fame Points will be calculated separately. 2.3. Fame Points will be calculated for each stage according to special rules that will be published along with the stage rules. Both personal and clan Fame Points earned during all Campaign stages will be totalled. 2.4. Personal Fame Points will be awarded following the same formula during all Campaign stages, but some coefficients used in the formula will differ depending on the stage. 2.5. All multiplying coefficients during the event are shown in the table below. The total number of Fame Points is calculated after applying all the coefficients. In disputed situations for crediting Fame Points (suspected match fixing, etc.) the game administration retains the right to request a battle record, screenshots and other information relating to this situation. If the requested information is not provided, the administration reserves the right to impose sanctions on the potential offenders. We strongly recommend you turn on the "Record battles" (battle replays) option in the Settings menu. 3.1. The grand prize for the Fourth Campaign is 11,000 unique Tier X vehicles. 3.3. The full set of prize-winning tanks will include unique camouflage, emblems and inscriptions designed specifically for these tanks. Also these sets will be added on all tanks (M60, VK 72.01 (К) and Obj. 907) received by players in the previous Campaigns. 3.4. Only Campaign prize winners will have the chance to choose a tank. The time period during which a tank can be selected will be announced later. 3.5. If a prize winner does not choose a vehicle within the time period stipulated, the player will get a Т95Е6 vehicle by default. 3.6. A player cannot choose a tank that is already present in the player’s Garage. 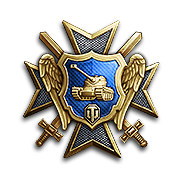 However, if a player used to have one of the prize tanks but sold it later, the player can still choose it as a prize. 3.8. Only one tank can be awarded per player. 3.9. You must have played at least 15 battles for your clan during the Campaign to be eligible to receive a license for a prize tank. 3.10. Left-over tanks, after Clans have been given their licenses, will be distributed among players in the personal standings according to the Wildcard system. 3.11. A clan who scored the same number of Fame Points as the lowest-ranking prize-winning clan will receive the same number of licenses. For such clans, the number of licenses credited is the same as the number of players, mentioned in point 3.9. of the Regulations. Tanks will be awarded using the clan licenses system among clans with the highest scores in rankings. Players who received clan licenses are not included in personal standings. Left-over tanks, after clans have been given their licenses, will be distributed among players in the personal standings according to the wildcard system. Players who received wildcard licenses are not included in personal standings. Any other left-over tank licenses will be distributed among players who placed the highest in the personal rankings. To receive an individually-given tank, you are not obliged to be a clan member at the end of the Campaign. 3.13. 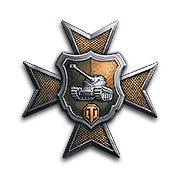 If a player scored the same number of Fame Points as the lowest-ranking tank winner, the player will be awarded with a prize tank as well. 3.14. 19,000 of the top players, determined by personal Fame Points, will be awarded with an exclusive clan camouflage. 3.15. If a player scored the same number of Fame Points as the lowest-ranking camouflage winner, the player will be awarded with a clan camouflage as well. Custodian of Freedom Class I Awarded to players whose clan ranked 1st by battle results. 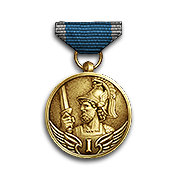 Custodian of Freedom Class II Awarded to players whose clan ranked 2nd by battle results. Custodian of Freedom Class III Awarded to players whose clan ranked 3rd by battle results. Tactical Master Class I Awarded to players who won more than 81% of their battles during the Campaign and participated in at least 20 battles. Technical victories upon the opponent’s no-show in battle are not included. Tactical Master Class II Awarded to players who won 71% to 80% of their battles during the Campaign and participated in at least 20 battles. Technical victories upon the opponent’s no-show in battle are not included. 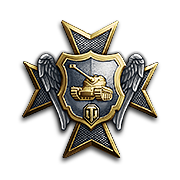 Tactical Master Class III Awarded to players who won 61% to 70% of their battles during the Campaign and participated in at least 20 battles. Technical victories upon the opponent’s no-show in battle are not included. Tactical Master Class IV Awarded to players who won 51% to 60% of their battles during the Campaign and participated in at least 20 battles. Technical victories upon the opponent’s no-show in battle are not included. 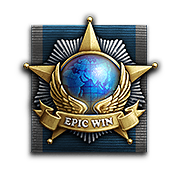 Epic Win Awarded to players whose clan fought the longest winning series during the Campaign. Technical victories upon the opponent’s no-show in battle are not included. In case of a technical defeat the series is broken. Soldier of Freedom Class I Awarded to players who played at least 5 battles during each stage of the Campaign. Battles with a no-show by either or both players are not included. 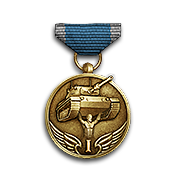 Soldier of Freedom Class II Awarded to players who played at least 5 battles during two stages of the Campaign. Battles with a no-show by either or both players are not included. Soldier of Freedom Class III Awarded to players who played at least 5 battles during a Campaign stage. Battles with a no-show by either or both players are not included. Power of Freedom Class I Awarded to players who won at least 50 battles in a Campaign Front. Technical victories upon the opponent’s no-show in battle are not included. Power of Freedom Class II Awarded to players who won at least 25 battles in a Campaign Front. Technical victories upon the opponent’s no-show in battle are not included. 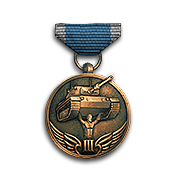 Power of Freedom Class III Awarded to players who won at least 10 battles in a Campaign Front. Technical victories upon the opponent’s no-show in battle are not included. 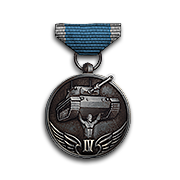 Power of Freedom Class IV Awarded to players who won at least 5 battles in a Campaign Front. Technical victories upon the opponent’s no-show in battle are not included. Path of Freedom Class I Awarded to players whose clan won at least 8 battles in provinces with the same Prime Time during the same day. Technical victories upon the opponent’s no-show in battle are not included. 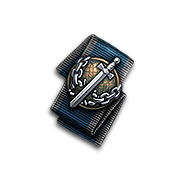 Path of Freedom Class II Awarded to players whose clan won at least 6 battles in provinces with the same Prime Time during the same day. Technical victories upon the opponent’s no-show in battle are not included. Path of Freedom Class III Awarded to players whose clan won at least 4 battles in provinces with the same Prime Time during the same day. Technical victories upon the opponent’s no-show in battle are not included. 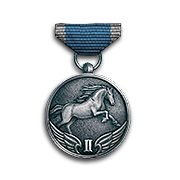 Call of Freedom Class I Awarded to players whose clan captured at least 4 provinces via a landing tournament or a landing auction during the same day in a Campaign Front. 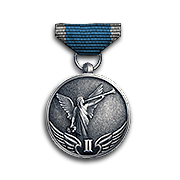 Call of Freedom Class II Awarded to players whose clan captured at least 3 provinces via a landing tournament or a landing auction during the same day in a Campaign Front. Call of Freedom Class III Awarded to players whose clan captured at least 2 provinces via a landing tournament or a landing auction during the same day in a Campaign Front. 5.1. During the Fourth Campaign, penalties will be applied for no-shows in battles. 5.2. For details on the penalties system, please refer to the appropriate section of the Global Map guide.